As the quintessential classic Feadship, QUEEEN OF DIAMONDS is befitting her name. 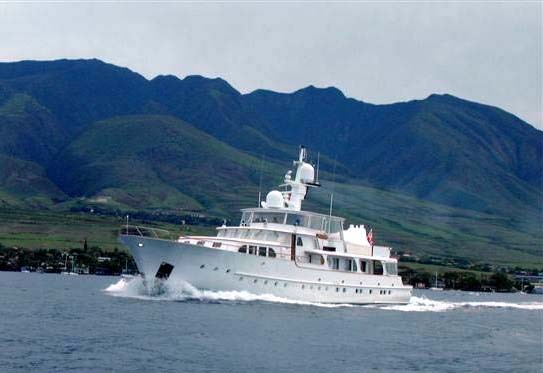 She is in spectacular condition and has been lovingly maintained to best Feadship standards. Any upgrades or modernizations were executed with her builders blessing. She glistens from stem to stern, forepeak to lazarette. Each of her refits under her owner for the last 15 years, in 2000, 2004 and 2008 have been continually surveyed by Patton Marine, Inc and their recommendations fully complied with. In 2000/2002 at Bradford Marine, the entire yacht including the hull and superstructure were completely re-faired using new epoxy fairing compounds. The old fairing compound was oil based so was completely removed by sand blasting the entire yacht including bottom, hull and superstructure to bare metal. Various sections have been repainted since. Hull, bulwalks, coamings. New polyurethane Awlgrip paint was applied over the zinc metalizing coatings and new fairing compound. The yacht presently looks better and is better than when originally constructed.